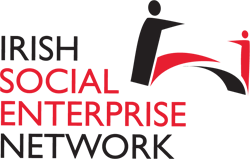 Check out our new Social Enterprise Toolkit for Ireland. Outlining some of the tips in getting your social enterprise started. We are on the lookout for social enterprises that can make a difference in communities and regeneration projects on the building site and construction projects. Do you know any? We are on the lookout for social enterprises, do you meet the following criteria? We run events and networking opportunities throughout the year. We aim to bridge the gap between social enterprises across Ireland. We aim to point you in the right direction to get your idea off the ground or take your organisation to the next level. We aim for an Ireland where social enterprises are recognised as being a valuable and necessary part of the economy and society. Check out our new resources section for the latest in all of the developments in the sector. What’s Going On in Socent.ie?